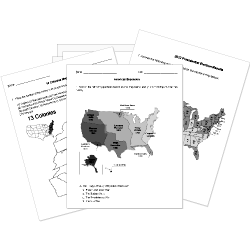 You can create printable tests and worksheets from these Grade 11 Asian History questions! Select one or more questions using the checkboxes above each question. Then click the add selected questions to a test button before moving to another page. The leader of Communist North Vietnam was who? The 38th parallel divided what country? Who led North Korea during the Korean Conflict? Who was the leader of US backed South Korea during the Korean Conflict? Military retreat of 6,000 miles with a 90% death rate undertaken by the Communist Party of China to evade the pursuit of the Chinese Nationalist Party army. Who was considered the preeminent leader of Indian independence movement in British-ruled India? During the Spanish-American War, Filipinos fought the Spanish for which reason? Who built the Grand Canal? Why did Buddhism decline in Tang China? When was Gandhi born and where? Gandhi's civil disobedience of marching to the sea to protest the British tax on salt was called. The March. N.V.Godse is a militant Hindu nationalist, and Gandhi's assassin. How many people lived in Xi'an in the late 700s? How did Hangzhou become the capital of Song China?